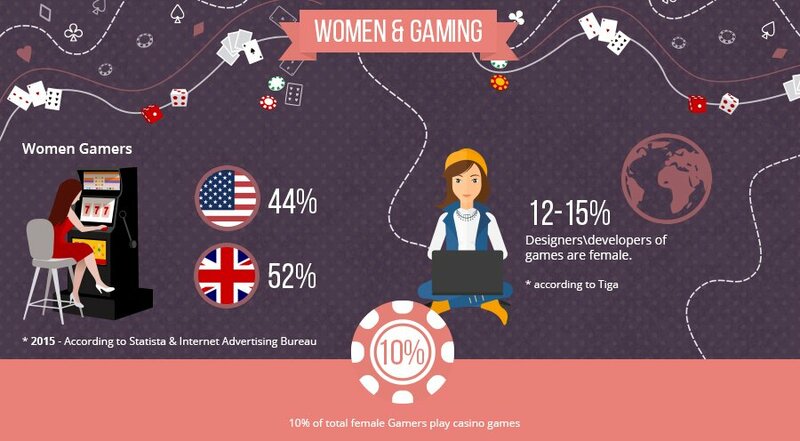 The online gaming industry has many female team leaders who have contributed to the success of their business. In honor of International Women’s Day, we conducted a special multi-interview with some of the iGaming industry’s top experts and former WiG (Women in Gaming) winners. We presented each with the same five questions and are pleased to provide you with the insightful thoughts and opinions of these incredible female professionals who are true leaders in their field. Ebba Arnred (CMO at Play'n GO): I started in the industry longer ago than I care to remember, when CDROM was modern!. I Joined Play’n GO in 2006, and has been working there ever since, currently as Chief Marketing Officer of the company. Lydia Barbara (Head of Pegasus Gaming Solutions [Microgaming]): I currently manage the consulting division, Pegasus Gaming Solutions, at Microgaming on the Isle of Man. I’ve been working in online gaming for almost 13 years now. Mel Camilleri (Customer Service Director William Hill): I am extremely organized, driven and assertive; a completer-finisher who applies myself with dedication to any task that I undertake. Bringing a high level of commerciality, combined with positive energy, I work with my teams to drive superior performance and achieve operational goals. As an extension of this, I enjoy helping others grow to meet their goals and celebrating success with them. Caroline Klytseroff (Senior Affiliate Manager at Hero Gaming): I moved to Malta 3 years ago from Sweden and I have been involved in the iGaming industry from day one and progressed through a number of different areas, starting at Support to Senior Affiliate Manager. 1. How did you find your start in the industry, and how did you arrive at your current position? Arnred: I have a broad experience, starting in 2000 as a marketing assistant at Gold Club Casino, which was run by Boss Media. Moving on, I worked as manager for the casino, poker, and bingo sites. With that experience, I stepped across to the provider side and worked for several years as a Key Account Manager. That’s where I came across Play’n GO. I was their first client, in fact. Back then casino products were very clunky and only available as downloads. But Play’n GO were very progressive and one of the first suppliers to offer a full suite of products in Flash. They asked me to join and I did so in 2006. I’ve worked my way up to Chief Marketing Officer and will be celebrating my tenth anniversary at the company this year. I’m delighted to say we’re still pushing the boundaries. We introduced HTML5 in 2011 and are still one of the few suppliers who do simultaneous games releases. Barbara: Back in 2003, I started playing poker for a living. It’s a hard life, though, and after some time I was keen to move into the management side of the game. In a move that still seems serendipitous today, a company in Malta hired me and moved me across the Atlantic from the U.S. to start my new career. I haven’t looked back, since. Camilleri: My start in the industry began with taking the time to understand the gaming sector, working with my peers, understanding my team and understanding what customers need from us. Strategies and tactics that worked in the past are less effective and require more effort to execute. In an era where service has become a defining factor for customers, we need to find the unique balance between delivery of a service, the cost of the delivery and customer expectations. A lot of time has been spent ensuring that I have the right team to execute our strategy over the long term. I believe I have this team in place. In terms of how I arrived at this position, I wanted a change from consulting and I wanted to work for William Hill. After that decision was firmly made, I sent my CV and accompanying letter to the CEO. After various conversations with senior stakeholders, I got the role to Head up Service Delivery for Online. I have an exciting and challenging role with William Hill, which I like because I crave challenges and have always been challenged for different reasons in my previous roles. I want to learn many new things for continual personal growth and to continually grow my teams. The roles I have had have provided these things for me. Klytseroff: My thoughts initially were that the environment was very male dominated, however, this gradually changed overtime but did not affect my carrier progression to become a Senior Affiliate Manager. 2. Who or what inspires you and why? Camilleri: I am a very competitive person, so tell me that I cannot do something and it will inspire me into action. I am motivated by understanding how things work and enjoy applying this to unpick how systems and processes can be refined for commercial and customer benefit. Klytseroff: I am not really inspired by one-person but by multiple areas such as family, friends, and people who try to make a difference in some way or another. Arnred: I love the feeling that almost everything is possible, that’s what I feel in this role and company. I’m always inspired by working with great people, which we’re lucky enough to have at Play’n GO, and being at a company that is at the forefront of the industry. We’ve grown to nearly 100 employees in recent years and have got a fantastic team in place. They keep coming up with new concepts that capture the imagination of our customers and their players and are genuinely innovative. It’s very simple, but that’s what gets me out of bed in the morning. Barbara: Through my years in the industry, I have found that I enjoy taking an idea and turning it into something tangible. I love building things and making them successful. 3. What do you consider to be the biggest achievement of your career, so far? Barbara: While I ran Microgaming’s poker vertical, we started picking up awards for our software and network, and that trend continues even now, despite an incredibly competitive field. I was also rather flattered when I won the Rising Star award at last year’s Women in Gaming Awards. But really, I am happy every time I finish another successful project. Camilleri: Mentored a number of people throughout my career, all of whom now hold senior positions within blue chip companies. In addition, another great achievement, so far in my career, was winning the “Inspiration of the Year” Award at the 6th Annual Women in Gaming Awards, last year. It was a huge surprise and an absolute honour to have won such a prestigious award, an award that sits proudly in my office and one which I hope inspires my team members. Klytseroff: This has to be my recent award for “Affiliate Manager Of The Year” for Women in Gaming and, fingers crossed, there will be more to come as my career goes on! Arnred: Apart from being able to raise two fantastic sons while working, it’s absolutely being part of the senior management team at Play’n GO and helping the company grow on a global level. That has been very satisfying. We’re make huge progress in a number of new territories, like Italy, and in new areas like Asia and Latin America. Through hard work - and a desire to lead rather than be led - we’ve established an excellent reputation and now have a string of impressive, big name clients. It’s great working at a great company with big plans, but to actually see those plans bear fruit gives me a great sense of fulfillment. 4. What advice would you give to others who are just starting out in the industry? Klytseroff: Don’t be intimidated by the environment. It’s a fun, young vibrant industry, which allows young people to succeed from all different backgrounds and gain early experience that you may not have in other industries. Arnred: Don’t take short cuts and don’t compromise on quality and service. If you do you’ll be found out. Even if you’re new to the industry or your product is new to the market, you have to strive to be the best and work harder than others to get it right. Let’s be honest, there are a lot of people who, on the surface, appear to do what we do at Play’n GO. But if you look under the hood of our games and examine the levels of service we provide there aren’t many who compete. That’s not luck: it is hard work. Barbara: The online gaming industry is incredible in that hard-working and ambitious people have no limits to how high they can go. It is still a relatively new industry, and the people you meet today may be people you are working with tomorrow. Because of that, you will find that respectfulness and professionalism are highly valued traits that will serve you well in the long run. Camilleri: Give yourself time to learn and share what you learn. I believe that regardless of what industry you are in, you also have to increasingly look for a point of competitive differentiation. For many, it is customer service that will enable them to compete successfully in this fast maturing market. Moreover, the industry is realizing that customer service can be more than just a cost factor; it can be a significant revenue generator. 5. What do you think is the biggest barrier for women in the industry, today? How do you think this barrier can be overcome? Camilleri: I thoroughly support and encourage women to continue their strong belief that they are making a difference and in their ability to turn adversity into learning opportunities. To persist in building relationships with sponsors and others, and to have a willingness to step outside the comfort zones and challenge the status quo, are very important for establishing the positive energy that comes from loving the job you do. Arnred: I think talking about barriers isn’t particularly helpful, to be honest. I think there are more and more women in betting and gaming, and the industry is all the better for that. We have women in every department at Play’n GO and don’t see a person’s gender as a factor, or even that interesting. We recruit and make sure we build great teams that inspire and trigger ideas in each other. Talent is the only requirement and I’d like to think, in this day and age, that that is the case elsewhere. If it’s not, and you’ve got bags of energy and ideas and are prepared to work hard, then come and join us! Barbara: Although it is getting better, women are still in the minority in our industry, especially in technology and upper management roles. Once you start to reach management levels in our industry (and many other industries, to be fair), you will often find that you are the sole woman present in meetings or on a conference panel. When that happens, remember that you are acting as a representative of all women. And then, as always, just do your best. Klytseroff: I think that the biggest barrier for women in the industry is that, currently, the majority C-level positions are filled by men, which can be intimidating for younger women trying to enter the field. I think this barrier is gradually going away as more successful women begin to succeed in the industry.